SKY HABITAT is located at 7, 9 BISHAN STREET 15 in district 20 (Ang Mo Kio, Bishan) of Singapore. 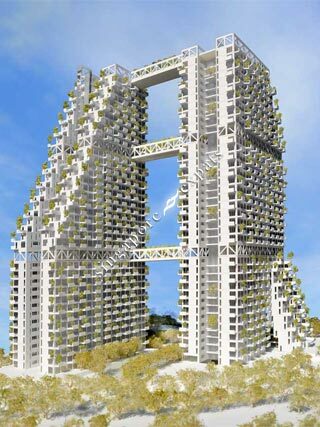 SKY HABITAT is a 99-year Leasehold Condo development consisting of 509 units. SKY HABITAT is completed / TOP in 2015 (estimated), developed by BISHAN RESIDENTIAL DEVELOPMENT PTE LTD.
Educational institutions like AUSTRALIAN INTERNATIONAL SCHOOL, STAMFORD AMERICAN INTERNATIONAL SCHOOL, GLOBAL INDIAN INTERNATIONAL SCHOOL, CATHOLIC HIGH SCHOOL, TOWNSVILLE PRIMARY SCHOOL and ST. GABRIEL'S PRIMARY SCHOOL are near to SKY HABITAT. SKY HABITAT is accessible via nearby BISHAN, LORONG CHUAN and BRADDELL MRT Stations.